Great decals at a great price are still not so great if they can't be installed quickly and accurately. Your satisfaction will depend not only on what came in the box, but also how it's installed and cared for. Please take a few minutes to read through the instructions below. If this is your first time installing a large decal set, you may also want to follow the recommended links to helpful videos and more detailed instructions. Every successful installation can be divided up into a few equally important processes. We strongly recommend that you read and follow these instructions to ensure a good installation. For information on removing old decals and preparing a old-paint surface for new decals, click here. 1. Air and surface temperature should be over 40 degrees F. and below 100 degrees F.
which might remain after removing paint oxidation, or old decal adhesive. Buffing and the washing old surfaces is advised. For information on installing large laminated decals which have not been laminated, click here. 1. Decals / set should be un-boxed, un-rolled and checked. field once taped to a machine. 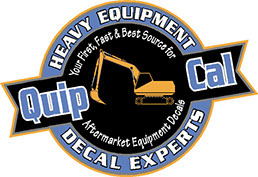 For short videos on preparing and installing your new decals, please click here. both good looking and long lasting.